What really matters: IPL’s innings over, ICC World T20 next! IPL’s innings over, ICC World T20 next! 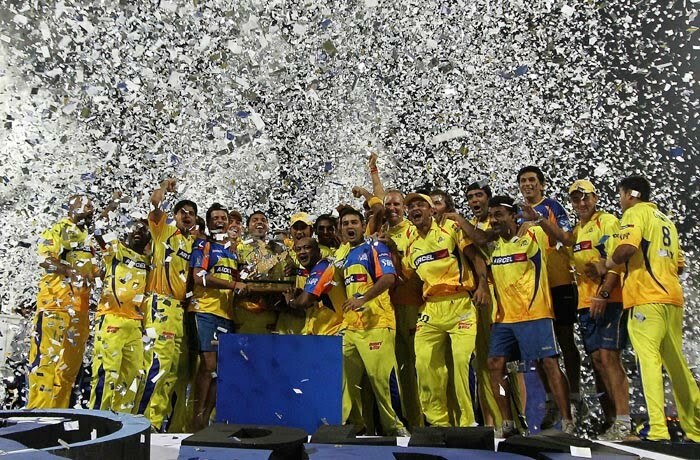 The IPL grand finale presentation is just over and it was the well deserving Chennai Super Kings who emerged as the champions. The losing team today, Mumbai Indians was among my favourites this year, mostly because of Sachin. But today, they were outplayed by Chennai and the most important factor that contributed in their victory according to me was the Captainship of Dhoni. And it makes me feel good because he’s leading the Indian cricket team and ICC T20 world cup is starting from the 30th of this month. I saw the semi-final between Chennai and Hydrabad almost entirely and the only thing that won Chennai the game was the captainship of Dhoni. He’s the man with brain and most importantly he knows how to apply that intelligence when needed. Things may not go right all the time, but then this time he was provided with a world class team which was the combination of the top players who knows how to deliver at the death stage. I hope the Indian squad in the T20 World Cup responds the same way and something inside of me is telling that India is going to do really well in that world cup. But you got to feel for Sachin who also led the team so well and is really an inspiration for everyone. I would have been happier to seen his team lifting the IPL trophy. But I’m sure he’s going to be the part of the Indian team lifting the 2011 World Cup trophy. Funny wild imaginations, you might be thinking! But it is his dream, and I hope whole team has that in mind while going for the 2011 world cup which will be played in the Indian subcontinent itself. It would have been a fair return-gift to someone who has played for the country for more than 20 years in a way which makes every Indian proud. While saying that, I don’t mean Sachin should sit idle and watch; his bat speaks for himself. If we talk about his latest, he is the highest run getter of the IPL and the Man of the Series. And I am sure he’ll lead the Indian attack to the victory then also. The whole country will stand by team India as always. But when it comes to the cheering for an IPL team, I have my questions. When I see Mumbai crowd go silent at a six hit by opposing team or even at a spectacular catch to dismiss a Mumbai Indian batsman, I wonder that whether cheering for a franchise can be similar as cheering for the country? It is dangerously clear that these franchises are for business and entertainment, nothing else. Everything else we are getting from them is the bonus, thanks to the cricket loving nation. So those who find it similar should learn to differentiate between the two feelings. How can you cheer an IPL team with the great enthusiasm and vigour while neglecting the other team entirely? Well, that didn’t happen with every stadium and crowd, but it did happen at times. Overall, it’s good, it’s fun and it’s entertaining. But now, the eyes will turn towards the equally entertaining ICC World T20, where the players will get to play for their country and its pride and crowds will cheer for the same!